What is Cell Type Sarcomatoid Mesothelioma? Sarcomatoid mesothelioma is the least common cell type affecting mesothelioma patients. It is also the most aggressive of the cell types epithelial, mixed or biphasic and sarcomatoid. One of the defining characteristics of the cell type sarcomatoid mesothelioma is the absence of epithelial elements in biopsy material or <10% of epithelial tissue. Sarcomatoid Mesothelioma accounts for 10-15% percent of the population of mesothelioma patients. The characteristics of sarcomatoid mesothelioma make it difficult to differentiate healthy cells from sarcomatoid cells. The sarcomatoid cells have multiple nuclei and are spindle shaped and have enlarged elongated nuclei. These cells do not bundle themselves together like epithelial type so it is easier to spread faster. The sarcomatoid cell type have aggressive growth rates that allows it to be spread to other organs. Other names that sarcomatoid is known as are sarcoma-tous, diffuse malignant fibrous, and spindle mesothelioma. Doctors often use a tissue staining process called immunohistochemistry to differentiate the cell types. This process allows the proteins to be more visible under a microscope. The specific proteins that the chemical stains that are used for cell type sarcomatoid mesothelioma are cytokeratins, calretinin, and D2-40. The other diagnosis that are considered are high grade sarcomas or chondrosarcomatous. Sarcomatoid malignant mesothelioma showed prominent pleural thickening with focal bone formation and encasement of the lung parenchymal. The symptoms of cell type sarcomatoid malignant mesothelioma are a gradual onset of symptoms that are found in other common diseases; chest pain, dyspnea, cough, hoarseness, night sweats. Pleural effusions can also be found on physical exam. There are three subtypes of sarcomatoid mesothelioma including Transitional cell type, Lymphohistiocytoid type and Desmoplastic type. A cause of sarcomatoid mesothelioma is a long asbestos exposure. There is some research that has associated with amosite asbestos fiber exposure and the development of pleural plaques or asbestosis and the development of sarcomatoid cell type malignant mesothelioma. There are many tests that can confirm diagnosis which include X-ray, CT scan, MRI, whole body pet scan, which can lead to further testing which include fine needle aspiration and biopsies of the tumor. Although these tests are necessary it is very difficult to diagnose these tumors and cause challenges. These cells resemble a variety of tumors. Treatment for sarcomatoid mesothelioma has been challenging. Due to its aggressive nature options can be limited. Every case is evaluated for size and location of tumor. 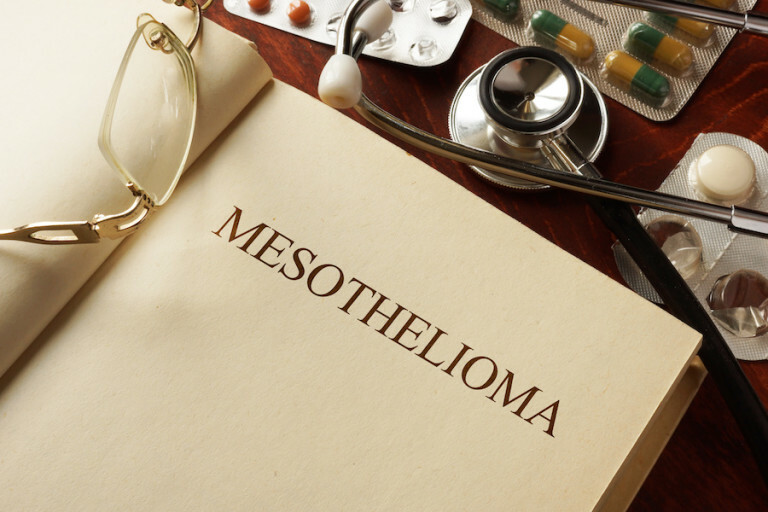 Treatment of this highly aggressive, rare form of mesothelioma is best sought at an academic medical center with a dedicated experienced mesothelioma team. There are clinical trials available that involve treatment for sarcomatoid mesothelioma. Some of the clinical trials involve immunotherapy.